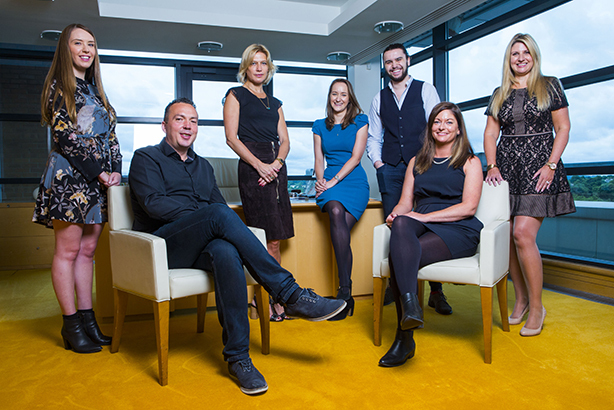 Direct Line's comms heads explain to PRWeek how the firm keeps its PR approach proactive and why its relationship with external agencies is like a marriage. Insurance company Direct Line was formed in 2012 by the divestment of the Royal Bank of Scotland Group’s insurance division through an IPO. It owns a range of insurance subsidiaries providing a number of different insurance products – from Direct Line and Churchill to the roadside assistance provider Green Flag. What is the structure of your team? Browning: I sit on the marketing leadership team, reporting straight to the marketing director. As well as looking after the PR team, I oversee our social media team. 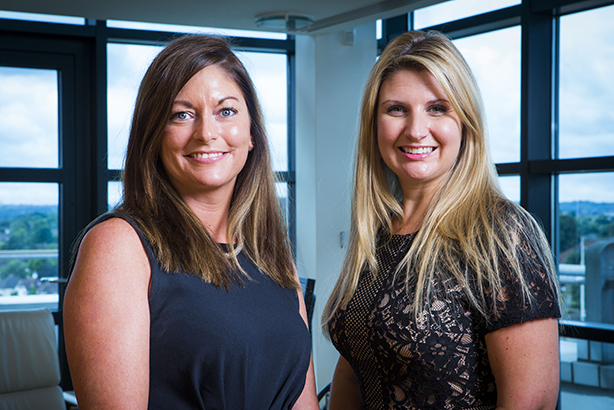 The PR team looks after Direct Line Group’s own brands – Direct Line, Churchill, Green Flag and Privilege – and the different product lines under each of those. There are six people and it is structured by looking at each different product area, so Claire [Foster] heads up our home and pet PR. Have there been any changes to the team that have made a big impact? Foster: We moved to sit alongside marketing just over two years ago to lead on integrated campaigns and I think it has worked really well. A recent campaign was Emergency Plumber, where we said we’d send an emergency plumber out within three hours. We had the ad space at One Piccadilly, page takeovers with The Guardian and Yahoo!. What is the biggest PR challenge you face at Direct Line? Foster: One of the main ones we face is how to manage all these different brands and all the objectives for them. I think often when you move in-house to just look after one brand you become a bit institutionalised and I treat this role almost as if I’m still at an agency. For Direct Line, we want to be known as ‘the fixer’ and for Privilege, because there’s no above-the-line marketing for it, our job is to increase awareness for the brand. Browning: The temptation is to hire people exactly like you and that’s a recipe for disaster, because you have all the same types of characters and people will clash. I always try to look at what I don’t have in my skill set and build a fully rounded team. Are there any unflattering perceptions of the firm you have tried to dispel? Browning: Insurance, as a category, has pretty low trust, so that’s been one of the key things in every proposition that we’ve launched – whether it be getting your car repaired in seven days and getting it back, or the Emergency Plumber. Water causes huge devastation, from floods to a burst pipe in your home, so it’s something that needs to be dealt with quickly. We’re asking our competitors: "Can your insurance do that?" How do you divide your time between reactive and proactive PR? Foster: It varies, but I think a lot of reactive work we’ve been proactive about managing. Ahead of last year’s floods, we spent time organising media training for a bunch of home claims people spread out geographically so we had no gaps. Even though it was reacting to a situation, because we’d spent months being proactive and preparing with media packs and media training, I’d like to say it all went smoothly. How important is social media to your comms and how do you use it? Browning: It’s split into two. We have the marketing and social media team, and the customer care team. We were keen to find people who could look after social end to end. I span both social teams and it’s important they speak on a regular basis, so we don’t trip each other up. How tricky was it to get the tone of voice right for your various brands? Browning: We spent a lot of time working with the teams on the tone and WCRS [the creative agency used by Direct Line] met with the teams to get [the mascot dog] Churchill’s voice right. We try to keep Churchill the dog and Churchill the insurance company quite separate, because they tweet about totally different things. Churchill the dog might be saying he’s cooking sausages and Churchill the company will be replying to people who have a query about their car insurance. How do you work with PR agencies? Browning: We have different ones for different things. I think it works best when agencies are an extension of your team. It’s a bit like a marriage – you’ve just got to keep working at it, so we have pretty regular check-ins. For a lot of our bread-and-butter stuff we work with Citigate, then Unity on a lot of our brand activation plans, a small agency called Van on Privilege, then Frank on Churchill and Green Flag. We bring them into the planning sessions as early as possible. There’s nothing worse than going to an agency and saying: "Here’s a release I can’t be bothered to sell in" – they don’t live and breathe it and they don’t believe it. Do you have certain publications you prioritise? Browning: There’s a whole variety we have relationships with – we’ll have things in Good Housekeeping and then in the money pages, but I suppose the people we spend most time building relationships with are the personal finance pages. It’s not all about insurers; a lot of it’s about homeowners, drivers, people who go on holidays and pet owners, so we build relationships with consumer writers who write across the spectrum. Foster: We know which stories will land well within the media, but the real aim is to change consumer behaviour, whether that’s reducing road traffic accidents or dog obesity-related claims. It’s quite hard to measure all of these different metrics, so first of all we look at volume through Press Data, but some of those are vanity metrics – it’s great that we get 25 pieces of coverage every day, but what about key message penetration and spokespeople? So we measure who and how many times they’ve spoken [in the press] and what they’re talking about. We bring in all these different claim statistics for each product and each brand, so we can clearly see it linking back to our objectives.